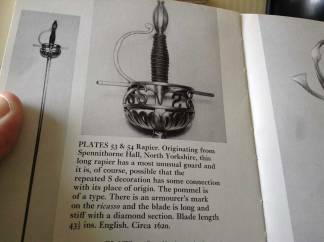 Forum Index > Historical Arms Talk > Long rapier 50 1/2"
Posted: Sat 01 Apr, 2017 1:35 pm Post subject: Long rapier 50 1/2"
Hi Got this. Mail from a friend showing an armourer. Fernandez Ruiz of Toledo ( 1617 ) crown with cross and letter R ? This thing is huge! As such, I think it is real, the extra long rapiers of the early 17th century are not that popular in reproductions if I recall correctly. Though it is somewhat suspiciously light, could you find where the balance in the blade is? That said, I know nothing of rapiers but what Silver told me about them, and that's not all that positive. Actually 50,5 inches of full length is not that long for a rapier - I saw historical pieces with blades of 50 inches long, or even more. That's in fact an average length for the late 16th century/early 17th century swords of this type. 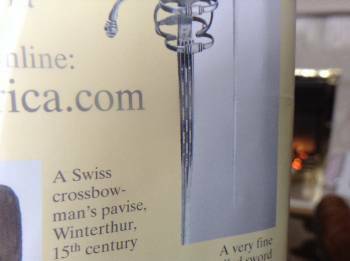 The rapier is light (about 1,27kg, if I am not mistaken? ), but not that much, it is also included in the average area that I saw on historical specimens. Have you the blade length including ricasso, from quillons to tip? And the balance as well, from quillons too? It can be a good clue. Could you also tell us the blade thickness on the ricasso, and the blade cross-sections? Is the blade sharp, or is it fully blunt, without real edges? The two things that actually puzzle me are the pierced blade and the hilt shape. I've seen many parrying daggers with pierced blade, but never a rapier, as far as I remember. The hilt is quite unusual. Thanks for these datas! 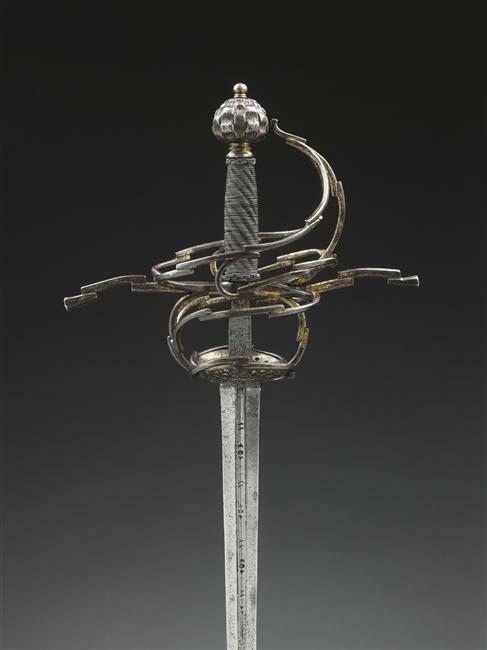 The balance seems normal, in proportions, the quite typical PoB for a rapier of this size is about 1/9th of the blade length. In your case that would be about 5 inches from quillons. Regarding the blade thickness, the average on historical specimens seems to be about 9mm thick (but I need further datas on this topic - I am currently negociating with some museums to take measurements of historical specimens). The fact that there are no cutting edges is pretty unusual. Ordinarily the historical rapiers have sharpened edges to practice cuts. 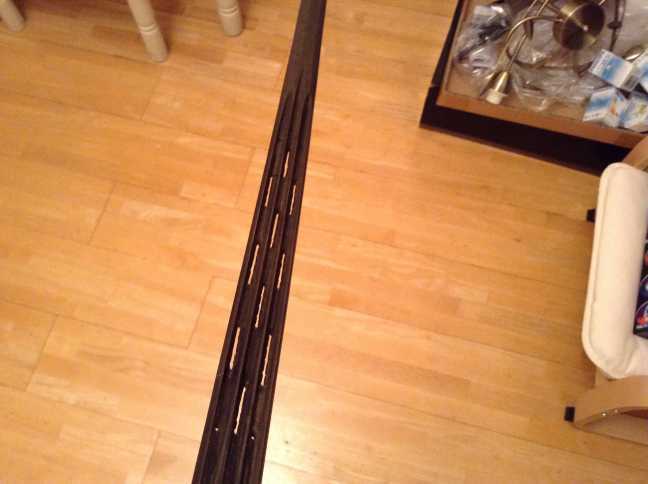 Overall it looks pretty good, I respectfully disagree with Guillaume, concerning the blade punching --this is not that uncommon on rapier blades. My concern is that it looks pieced/built up. 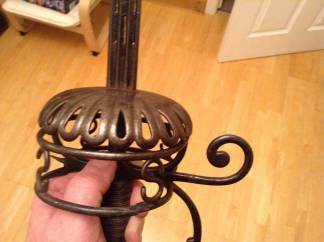 The blade, grip, and pommel look authentic... possibly Spanish.. but the guard looks suspicious, possibly Victorian. I'll look into it further and see what I have in records. 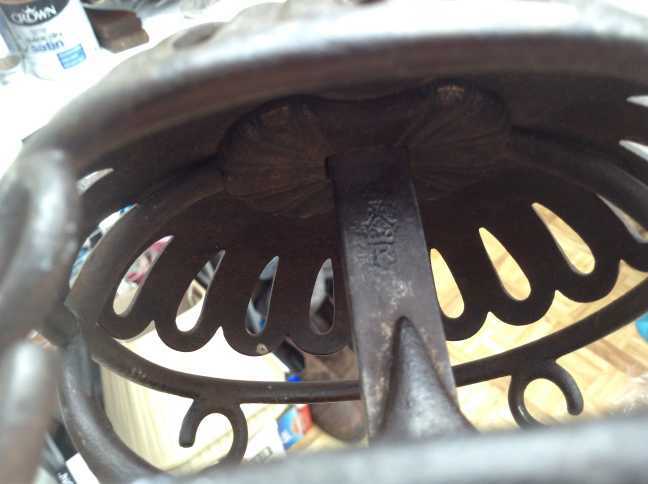 The issue is a break on the upper side-ring, and it looks like the cross-guard on the false edge was cut purposefully? The last thing is the S between the upper and lower side-rings looks spot welded with an Oxy-fuel weld... which is obviously much more modern! See attachment! 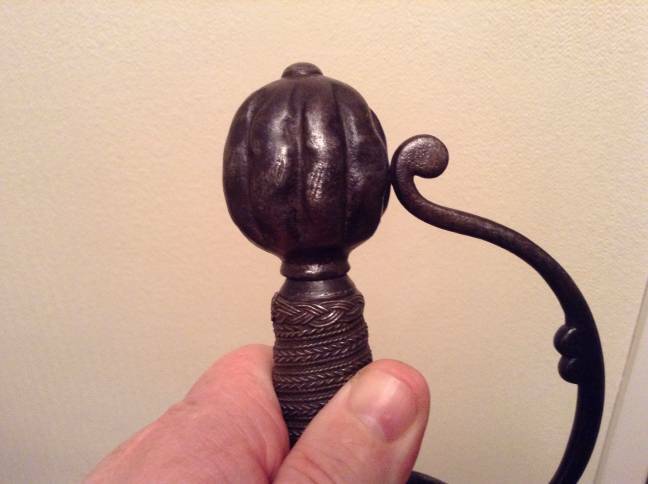 This contrasts with the overall matched/aged patina which has a good, uniform, appearance. 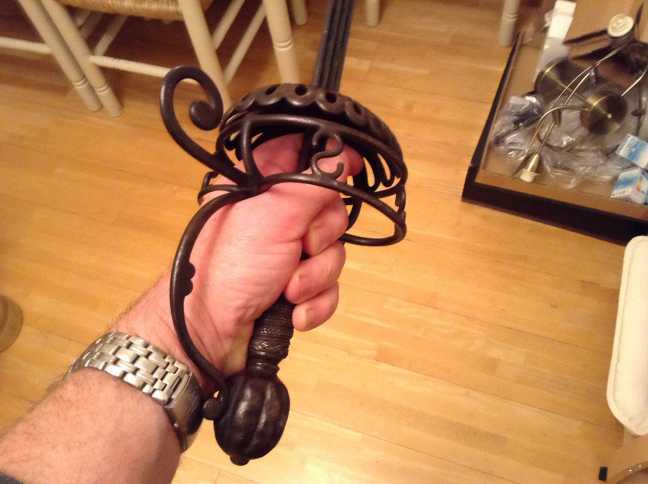 I think you might get more help if the topic title is changed.. something akin to: Real or Fake 17th Century Rapier from Ireland? I'll have a look around and get back to you! Hi Hadrian thanks for your input , not sure why you are so aggressive though , or why I would get more help depending on how I title a post? ?, Is that important . That's what I would spontaneously said - a maybe original blade, but a hilt changed later, maybe middle or late 17th century. 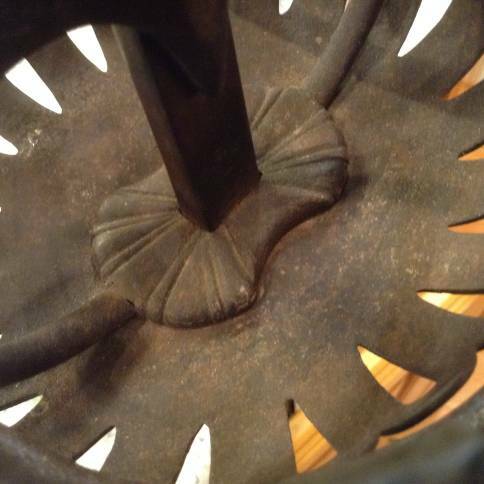 That is often seen on historical pieces, both on rapiers and daggers. I actually more surprised by the absence of cutting edge. I must admit that this weapon is quite interesting!